First of all, very well explained description of Tricircle especially the pictures are very informative. I think this can be a solution for the vendor lock-in problem also. So in the bottom layer openstack there will be no admin and complete administration will be done from the top layer openstack. If my understanding is correct, that will create a single point of failure. When my sites are distributed do we really want that kind of situation to arise? Please correct me if my understanding is wrong. However it will be nice if there is a workflow description of the 'full picture' in the coming post. Interested to know about the communication between the opensatck adapter and the top layer openstack. This is actually a very good point that we consider in the design, this was one of the reasons we introduced the bottom cascading service. 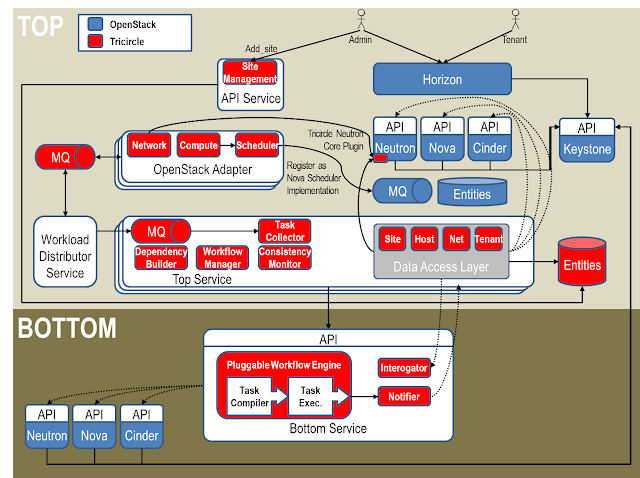 We are planing to allow local bottom OpenStack management, and actually got it as a requirement. In the first phase we will allow limited management in the local site: Local Tenant, Resource life cycle without creation. In a later phase we are planning to allow full local management by orchestrating the local IPAM of the shared networks to site segments and synchronizing the bottom site changes via the notifier. Thank you very much for this very good explanation. Actually , I am working on resource allocation within a distributed cloud wich can be modelised with the tricircle architecture(top for a global orchestrator and bottom layer for different datacenters or POP). 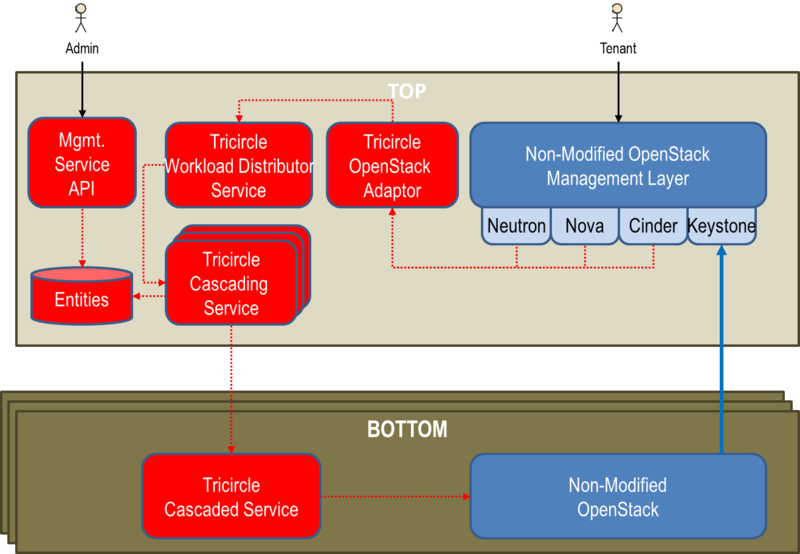 I already know how the nova scheduler make decision to place instances on the different compute nodes, but my question is how to make this decision from the bottom layer within this type of architecture(tricirle project)? I mean if we don't choose a datacenter from a list (from Horizon for example) how this decision is made ?Is nova scheduler on the top layer is still based on the same algorithm(sending requests to the compute node with most free resources but for datacenters ? 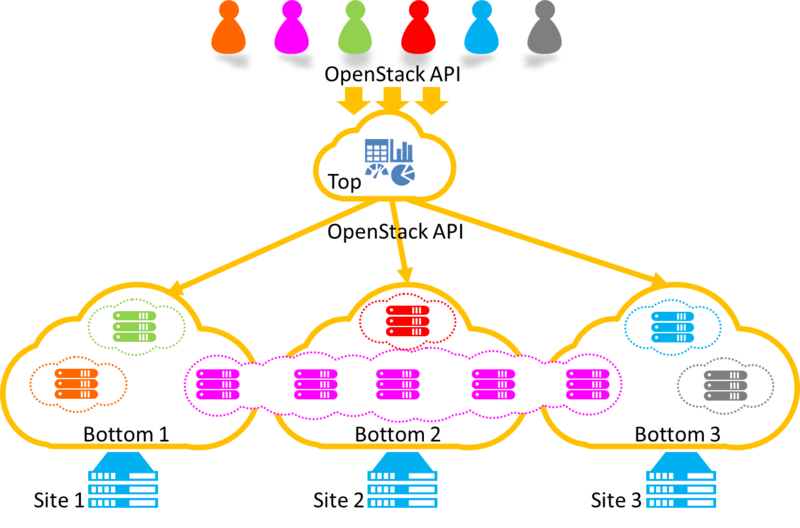 I am not up to date with the latest development in tricircle, but at the time the decision on top layer was done using the availability zone parameter entered by the user, each bottom DC was mapped to an availability zone. And what if the datacenter from the availabiltiy zone entered by the user has not enough resources to accept the request ?Which criteria is used to send the request to another datacenter ? Hello, more than one bottom OpenStack instances could be mapped to same availability zone, if one OpenStack instance reach the limit of the resource utilization, then will switch to another OpenSatck instances. 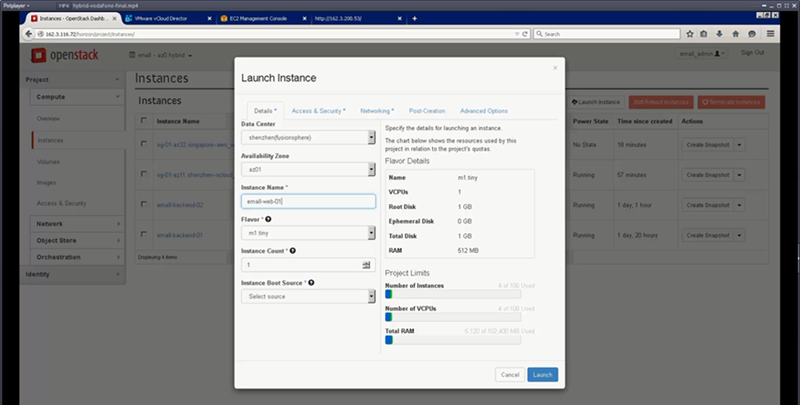 One availability zone could include several group of OpenStack instances and each group with multiple OpenSatck. You can refer to https://github.com/openstack/tricircle/blob/master/specs/dynamic-pod-binding.rst The feature implementation has not been finished yet. Hi Farah, I have asked Joe Huang the PTL of Tricircle, to join this thread and answer, he is most up to date with the current status of the project. To my understanding the Launch VM API call on the TOP layer will fail and return an error to the user.